I am one of the beneficiaries of an Ikerbasque Research fellowship, a 5 year tenure-track to continue my research at BC3! I have been awarded a prestigious Beca Leonardo from the Fundación BBVA to study hummingbird functional roles along a latitudinal gradient! I am at present spending some days in my beautiful hometown helping as a teaching assistant at the International Spring University on Ecosystem Services offered by the Basque Center for Climate Change. We have a diverse set of students from many different countries working on a whole suite of ecosystem services, from pollination to water provision. Our paper investigating the key question of how selective logging impacts networks of interactions between species focusing on tree-liana interactions has now been accepted for publication in Proceedings of the Royal Society B. 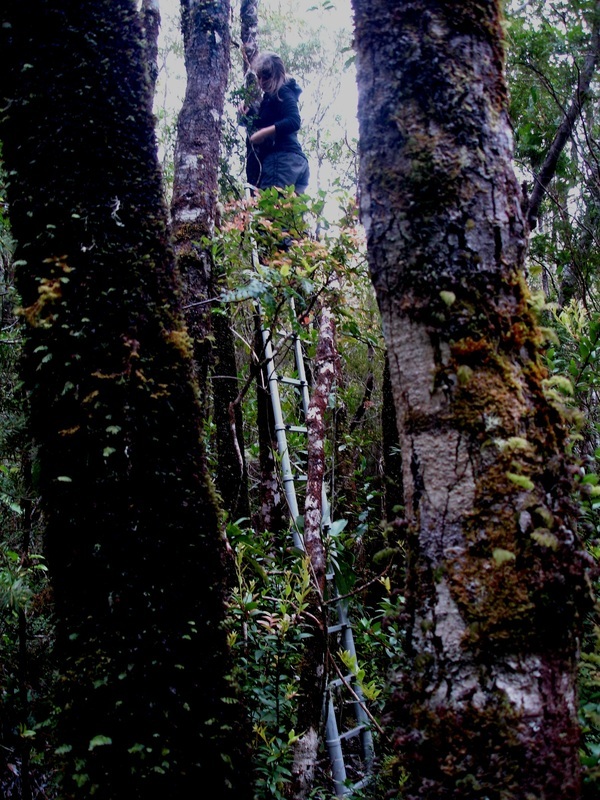 Our study reveals that heavier liana loads within logged forests disproportionally affect slow-growth tree species, with cascading impacts for ecosystem services such as timber provision and carbon storage. In turn, simulation scenarios of host tree extinctions indicate that logging decreases the robustness of liana-tree networks owing to the preferential loss of heavily-infested trees (i.e. the most connected ones). We believe that our study addresses one of the core questions facing conservation biology today, and combines a high theoretical and applied interest! Moving to a new lab! I will soon be starting a new job at Estacion Biologica de Donana in Seville working with Ignasi Bartomeus and Montse Vila on the effect of land use change on plant-pollinator networks. I had the great pleasure to present some preliminary results of some work I am doing in collaboration with agricultural economist Antoine Champetier on tradeoffs between conservation and economic goals in a coffee-growing landscape in India. New paper published in PLoS ONE! A new paper written by Jaboury Ghazoul and myself has been published in PLoS ONE on the effects of projected climate change on coffee distribution in the future and its implications for biodiversity conservation and ecosystem service provision. I recently presented some preliminary results on the future distribution of areas suitable for coffee cultivation across the globe given projected climate change and how this could affect forested areas. I am a postdoctoral researcher at the Basque Centre for Climate Change interested in human impacts to natural ecosystems across the globe.